DeepSoul: Bee Gees - "How Deep Is Your Love"
Robin Gibb's recent death may have officially ended the Bee Gees, but their legacy lives on. Normally I avoid injecting my personal experience into my DeepSoul columns. 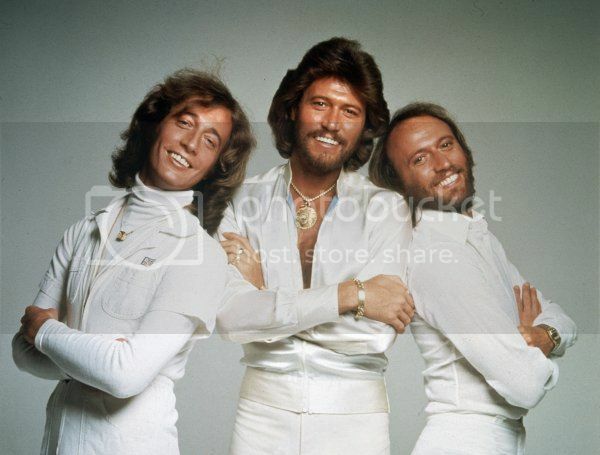 However, Robin Gibb's recent death hit close to home, as the Bee Gees comprised some of my earliest music listening experiences. Like many kids in the late 1970s, I would play the Saturday Night Fever soundtrack and dance in my bedroom. Years later I even bought the soundtrack for the execrable film sequel Staying Alive, strictly because I was still a fan of their music. Even when disco supposedly "died," the Bee Gees' presence remained in hit singles they penned for other artists: "Heartbreaker" by Dionne Warwick; "Islands in the Stream" by Kenny Rogers and Dolly Parton; and "Chain Reaction" by Diana Ross, to name just a few. Robin's death (along with Donna Summer's) symbolically ends a fun era in music and popular culture, one that celebrated good times and the joy of dance. As I write this, I'm presented with a dilemma: how can I possibly choose just one song to feature? Because this column spotlights R&B, I'm forced to omit what could be called "Bee Gees, Mach 1," or their early years. Their Beatle-esque tracks leaned toward pop, with singles such as "To Love Somebody," "Lonely Days," and the Robin-composed track "I Started A Joke." Due to a creative rut, the Gibb trio changed direction in 1974, plunging headfirst into disco with 1975's album Main Course. Thus "Bee Gees, Mach 2" was born. Longtime manager Robert Stigwood then approached Robin, Maurice, and Barry to record tracks for an upcoming film that would become known worldwide as Saturday Night Fever. Without seeing the movie, the Gibbs composed a number of tracks in one weekend; when they presented the demos to Stigwood and music supervisor Bill Oakes, the pair immediately loved the songs. Thus songs such as "Stayin' Alive" and "Night Fever" became 1977's biggest hits and instant disco classics. Their unmatched falsettos, memorable grooves, and impeccably produced records (as stated by the late Timothy White of Billboard) ensured their place in music history. One of the Bee Gees' finest moments--and the song Robin requested to be played at his funeral--is the lush ballad "How Deep Is Your Love." The first single released from the soundtrack, "How Deep Is Your Love" was originally intended for singer Yvonne Elliman (who ended up recording the Gibb brothers-written and produced track "If I Can't Have You"), but clearly only the Bee Gees could have transformed this ballad into the gorgeous production it is. Barry, Maurice, and Robin's vocals are multi-layered, leading to a fuller sound that showcased all their ranges. The subtle percussion, beautiful strings, and moody chord changes include the R&B sound similar to the other tracks, but was a definite departure from the dance-heavy songs that peppered the album. The lyrics tell the story of young love, replete with light, airy imagery: "And you come to me on a summer breeze/ Keep me warm in your love, then you softly leave," they croon. Some lines vaguely refer to Saturday Night Fever's storyline, namely Tony trying to win the love of social climber Stephanie. "How deep is your love, how deep is your love/ I really mean to learn," the Bee Gees sing. As in the film, the narrator is learning the meaning of mature love and treating women as equals. But he knows the odds are against him: "'Cause we're living in a world of fools/ Breaking us down when they all should let us be/ We belong to you and me. The macho Tony can be seen in lines such as "And you may not think I care for you/ When you know down inside that I really do." Yes, Barry sings much of the lead vocals on "How Deep Is Your Love." But Robin and Maurice prove just as essential, as their harmonies provide the perfect background for Barry's dreamy voice. The song represents true love in an otherwise hedonistic era, a whiff of timeless romance. Listeners obviously related to its sentiments, as the song stayed in the Top Ten for 17 weeks and won a 1977 Grammy for Best Pop Performance by a Group. No wonder Robin requested that the song play at his funeral, as it embodies the best qualities of the Bee Gees: tight harmonies, an affection for soul music, and lovely, memorable lyrics. It's hard to believe that Barry remains the sole surviving Gibb brother, and that the Bee Gees will never sing together again. However, we have their catalog that we can listen to and appreciate their artistry--and Robin's essential contributions--anew. And yes, I just might continue dancing in my bedroom while playing the Bee Gees' music.